I've just posted an introductory synopsis to Samstag aus Licht (Saturday From Light) on Stockhausen: Sounds In Space. For those new to the LICHT cycle and the Samstag opera, I hope this will be of use. And for any opera producers out there, why the hell is this not being staged every 2 years? This thing is spectacular and would be a massive hit if produced properly...am I correct in understanding that Saturday from Light has only been produced in all its stilt-man, jazz band-writhing glory just once? Yes. I think you are correct, Ed. In fact, the only LICHT opera to be fully staged more than once is DONNERSTAG. There was, of course, the quasi-concert performance of SAMSTAG a few years ago in Munich (using the full orchestra orchestration of LUZIFERs TANZ instead of the wind orchestra) and it will again be semi-staged in Paris next year (in between the Aus LICHT performances in Amsterdam and the 2019 Courses in Kürten: necessitating for me either three trips to Europe, or one very long stay there!). Ed, I also have the very same question as you: Why is Saturday not staged over and over again? It needs some very good soloists, and the visitors must be willing to change to a nearby big church for the farewell, but that should not be the problem at all. I attended the quasi concertant performance in Munich some years ago and must say: In that way, semi-concertant, it functioned very well - not much more was needed. And it was an enormous success. 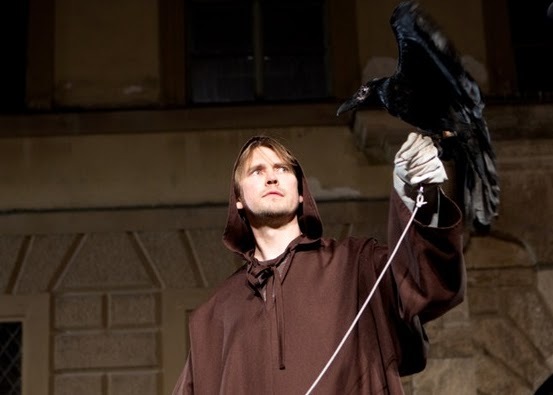 Especially the last Francis of Assisi-part was enthusiastically acclaimed, and there were lots of people who wanted to buy tickets but failed because everything was hopelessly sold out -and the chosen church was the biggest in Munich. Sure, Ligeti's opera, that is performed again and again all over the world, is much more conventional in staging, but that should not be a problem at all, one should think. Well, I cannot understand that. The same thing is with MIXTUR. That work also is not so utterly demanding, I think, and could be for the public a real hit, but it needs the technique of ring-modulation, and the orchestra-managers obviously are not used to that. Or what could be the reason?